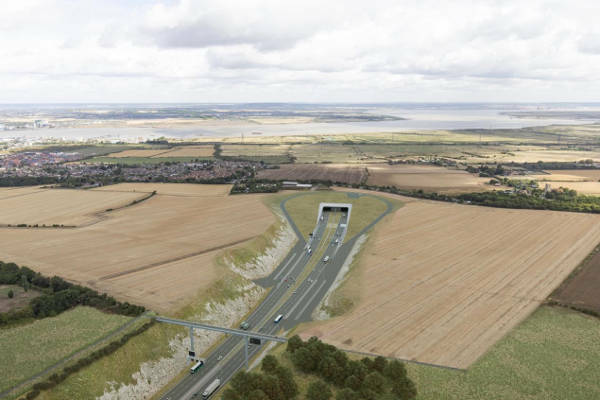 The government-owned company has launched a consultation on significantly revised plans for the 14.5 mile link from Gravesham in Kent to Thurrock in Essex via the UK’s longest road tunnel. 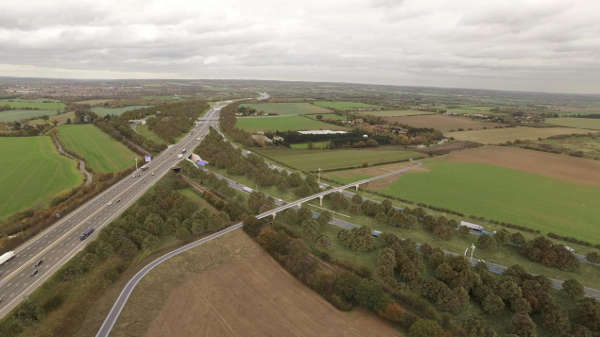 It described the scheme, now estimated to cost between £4.4bn and £6.2bn, as ‘the most ambitious road project since the M25 opened 30 years ago’. At over 50 feet wide, the 2.4-mile tunnel between Gravesend and Tilbury will be the third largest bored tunnel in the world, Highways England said. An improved junction with the A2. Highways England said the new link is expected to reduce traffic at the Dartford Crossing by 22%, with 14 million fewer vehicles using it every year and northbound journey times almost halved. Transport secretary Chris Grayling said: ‘The Lower Thames Crossing will help transform journeys, create new business opportunities in Kent and Essex and unlock productivity across the UK. Moving the road 80 metres further east where is passes Chadwell St Mary to increase the distance from residential properties. However, Darren Shirley, chief executive of Campaign for Better Transport, said: ‘Building a road through protected countryside is not the right way to address the long standing problems of traffic, much of it lorries, through Kent and Essex.